Recent wave for FA(Factory automation) has been truly phenomenal. In a machine tool industry like any other production industries, lean production has replaced old-fashioned mass production. 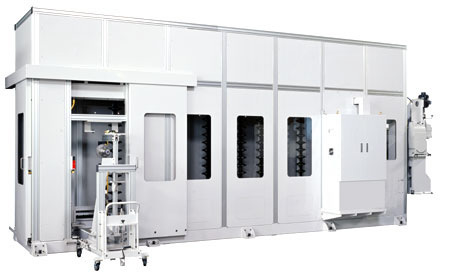 Our products play an important role as peripheral equipment of a machine tool used in flexible manufacturing system(FMS). NC retrofitting technology developed by Mori Machinery over these past years is the basis of our products of ATC(Automatic tool changer) and APC(Automatic pallet changer). Through many years of experience of manufacturing ATC and APC, we are proceeding standardization of each part and unit for more reliability, shorter lead time and better cost performance. We are determined to continue efforts to answer machine tool builders requests through supplying state-of-art peripheral equipment. Iwashita Industrial Co., Ltd. ENSHU Limited HRD CO.,LTD. Synagy co.,ltd. SHIN NIPPON KOKI CO., LTD. TAKEDA MACHINERY CO.,LTD. MITSUI SEIKI KOGYO YASDA PRECISION TOOLS K.K. YAMASAKI GIKEN Co.,Ltd. 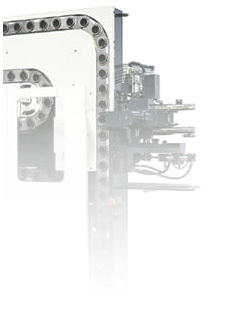 GIDDINGS＆LEWIS ( United States ) HAAS-AUTOMATION INC.